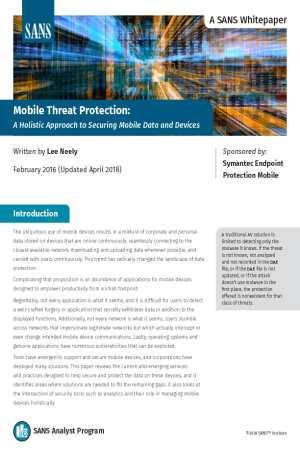 Tools have emerged to support and secure mobile devices, and corporations have deployed many solutions. This paper reviews the current and emerging services and practices designed to help secure and protect the data on these devices, and it identifies areas where solutions are needed to fill the remaining gaps. It also looks at the intersection of security tools such as analytics and their role in managing mobile devices holistically.